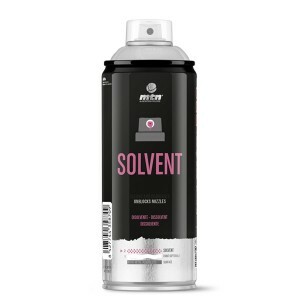 MTN solvent designed to gently remove MTN paint from unwanted surfaces. Great for cleaning up drips, spills and overspray. Can also be used to clear blocked caps, dilute spray paints and to clean paint brushes used with spray paint. Has also been used effectively to remove paint from jackets, shoes etc - always test in an inconspicuous area first.